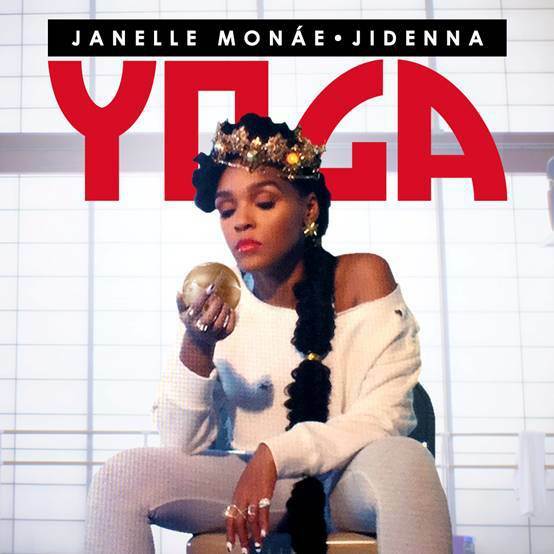 Duchess of Planet Earth, Janelle Monáe, just dropped a new single yesterday called “Yoga”. Why let me tell you! Because Janelle Monáe touches me in a special place. The ArchAndroid is solely responsible for my graduate degree. Because I love yoga. Community yoga preferred. Nothing like getting my namaste on. Because I just moved to Atlanta, and all I need for the Spring is another reason to twerk somethin. Because of the pending spike in sales by women who have never touched a yoga mat. Because of the yoga (and pole) classes that will play this insta-jam to make new yogis feel welcome. Anyways, shake yo asana and get into the new video right churr!